﻿ How Wattpad Storytelling App Secures $51M With These Top 4 Features? How Wattpad Secures $51M in Venture Funding With These Top 4 Features? Herein, we’re introducing the writing platform- Wattpad with its top features. This blog post can arise opportunities for those who want to create the writing and reading platform in terms of the mobile app. Let’s check out what’s inside it? Storytelling is a measure of the magic between the storyteller and the audience. 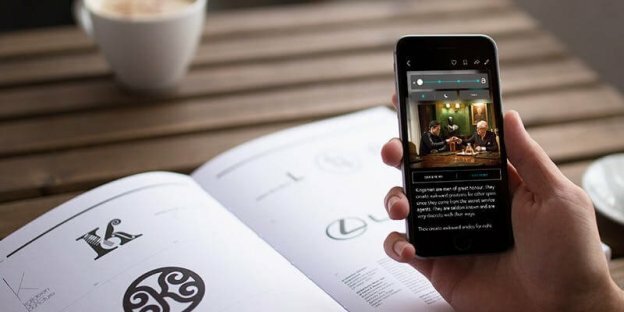 In the era of digital transformation, storytelling apps have taken the experience of reading and writing the stories to the next level. Being a book reader, you may be already aware of the fact that there is an abundance of digital storytelling apps on the Play Stores, where readers can dive into the ocean of stories no matter where they are. All top of that, talking about the storytelling apps, how could Wattpad stand behind the story! A storytelling and reading/viewing app – “Wattpad, Canada-based company, has secured $51 millions in Venture Funding from Tencent and BDC”, according to the latest report. Furthermore, the community grew over 40% in the year of 2017, and now it has 65 million users worldwide and 400 million story uploads. Now, we can say that Wattpad has become a trusted global community of user along with hundreds of millions of stories to helping people and the partners to find out the great content. 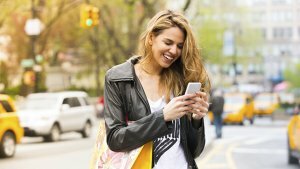 So, before jumping into the top four features to create an app like Wattpad, let’s have a look into what Wattpad has been achieving so far. When it comes to the total visits of Wattpad, which is approximately 158.88 million as you can see it in the below image. “Wattpad app ranks no. 1 in the category of books & reference”, according to the digital marketing intelligence platform – SimilarWeb. “On Wattpad, users spend an average of an hour a day in 2011”, this is the data from the Wattpad official website. According to the latest report from TechCrunch, Wattpad is now turning its eyes to publishing. The company declared the launch of a new division, Wattpad Books, aiming to turn its most popular content into future best sellers. 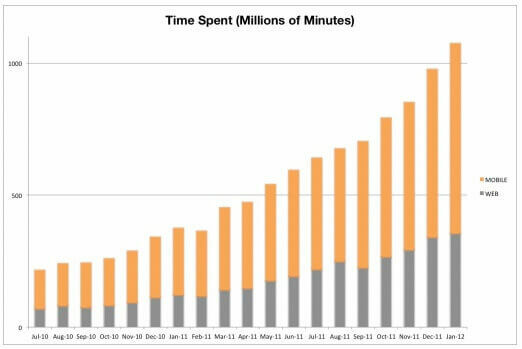 Moreover, there’s another data, which speaks itself as it says, “In the year 2012, users spent 1 billion minutes on the service”. This data reveals that the fanfiction app, Wattpad had already achieved the milestone in the previous years. So far, a creative community for storytellers and story lovers – Wattpad has proven out itself in terms of its user growth. And, it seems like the craze of Wattpad is never going to an end among readers as well as writers. The global community of readers and writers, Wattpad allows users to search stories by the name of the authors. Also, users can keep exploring 250 million stories within the app. In order to create the storytelling app like Wattpad, users are free from choosing a story for reading from a range of genres, including Romance, Fiction Stories, Inspirational, and much more. According to the official website of Wattpad, “The Wattpad community spends 15 billion minutes each month using Wattpad. In fact, Wattpad assures their users that they would be able to read the content, which they were not able to find out in the previous. Well, it is all about what Wattpad has been providing their users for so long. Nevertheless, if you may have been going through with the ideas to create storytelling app like Wattpad, you can start with it. This is due to the fact that the growth of the novel writing apps like Wattpad and others are still growing with the interest over time across the globe. This is what you can check in the below data by Google Trends. Launched in 2006, Wattpad provides a free online community to readers and writers worldwide, and the mobile app embraces 10 million free books. 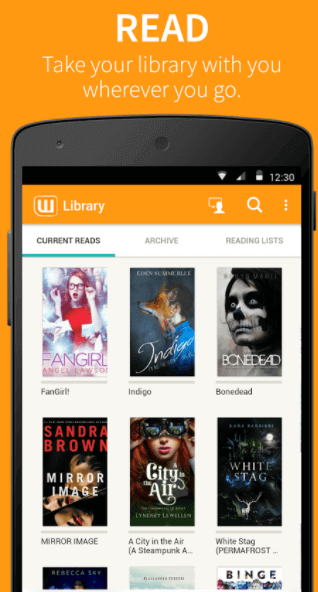 Moving ahead to check out the next feature while developing an app like Wattpad is – Library. As the name of the feature speaks itself, where the user can store N number of favorite stories in Archive. The user can access his saved stories, even offline. Now, the real question is that – what else you can provide your users in terms of storytelling app? Till now, Wattpad does not allow users to explore the fresh stories (which are not already saved) when they are offline. This is what in which you can work in order to develop Wattpad alternatives. One of the unique features, which is provided by Wattpad. Providing the platform for writers, where they can write and publish their stories. 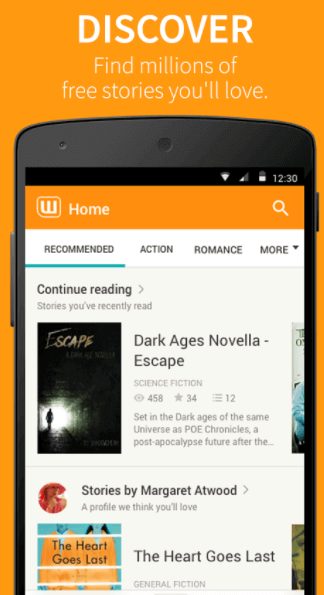 More than 45 million people choose Wattpad to published their serialized stories. However, Wattpad had realized the challenges faced by writers for creating the full-length work. In order to create the stories in a fraction of minutes, Wattpad introduced new chat story tool – Tap, where writers can create stories with texts, images, and emojis. Another feature is – Update by Wattpad as it includes News Feed, Push Notifications, and Messages. To be honest, in order to develop a storytelling app, the feature like push notifications plays an important role. With this feature, users get the latest updates of stories, which are on trend. Additionally, it allows mobile app users to send messages to their followings. It goes without saying, without including these must-have features, which are mentioned above, your idea of creating a storytelling app like Wattpad could be incomplete. Over a decade, Wattpad app has been doing well on mobile as the report says, “The majority of the activity is happening on mobile devices. About one third came from Android, 20% came from the iOS device, and the rest comes from other mobile platforms”. Needless to say, Wattpad has been able to shine a big spotlight on the readers as well as writers. Anyway, now, you have opportunities for the creation of your own mobile app. 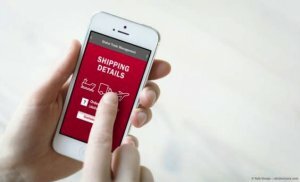 All you need to just take care of these must-have features into consideration before developing a mobile app for the same genre. Also, if you want to upgrade your existing fanfiction app like Wattpad, it would be better to consult with an ideal mobile app development company, where you will get to know the feasibility of the features, which you want to include. As far as your future mobile app is concerned, if your mind is still occupied with lots of queries, feel free to get in touch with us by just filling up the below form. And we’ll revert you within 48 hours. This page was last edited on January 25th, 2019, at 8:45. 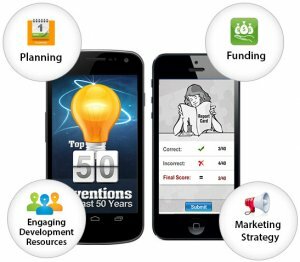 What It Takes To Materialize Your Mobile App Development Idea?